Carrots come in many colors and their flavors vary accordingly. I found these three shades of orange and yellow carrots at the local green market. 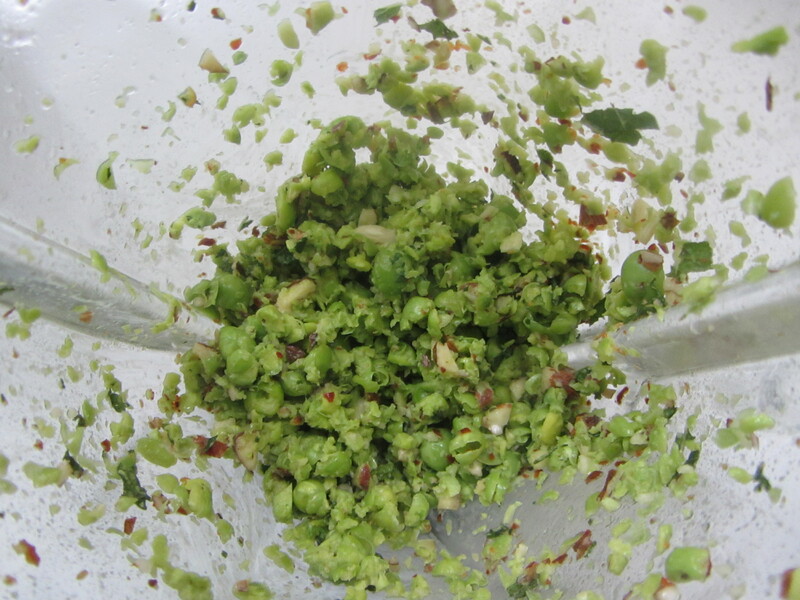 The raw pea pesto is adapted from one of my favorite cookbooks Vegetarian Everyday by David Frenkiel and Luise Vindahl. The slightly spicy pesto is delicious on pasta, bread and radishes too. 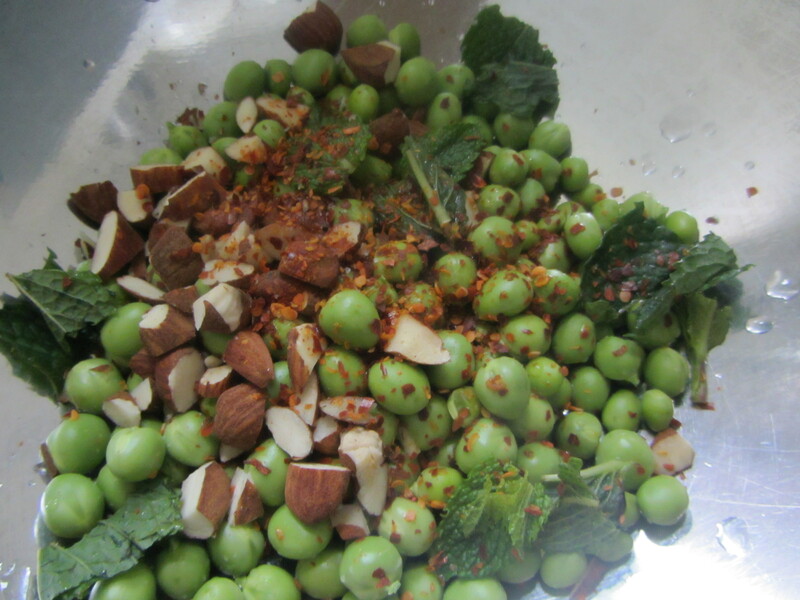 and blend on medium setting until ingredients are ground into a paste with a crunchy texture. 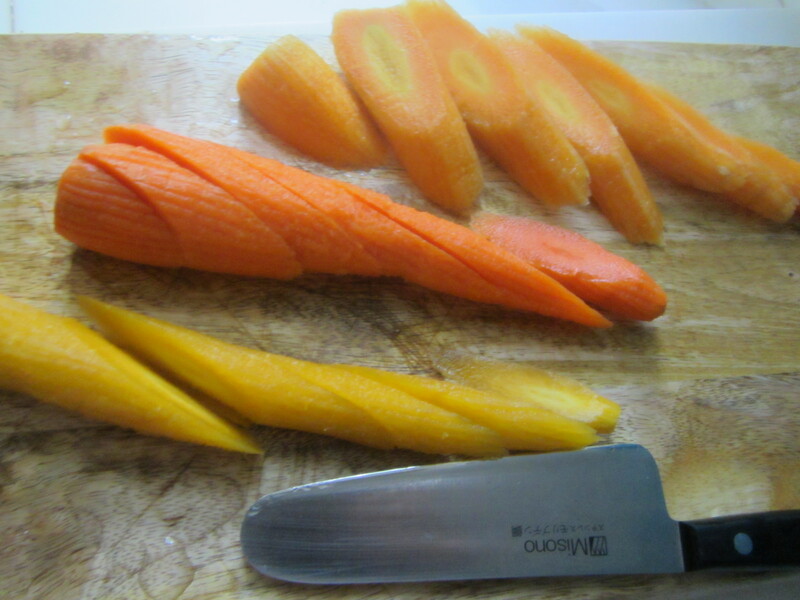 Use a paring knife to trim the ends of the carrots and scrape their skin, removing any tiny hairs or rough spots. Wash them well by immersing them in water. Slice the carrots on the diagonal into ovals about a half-inch thick. 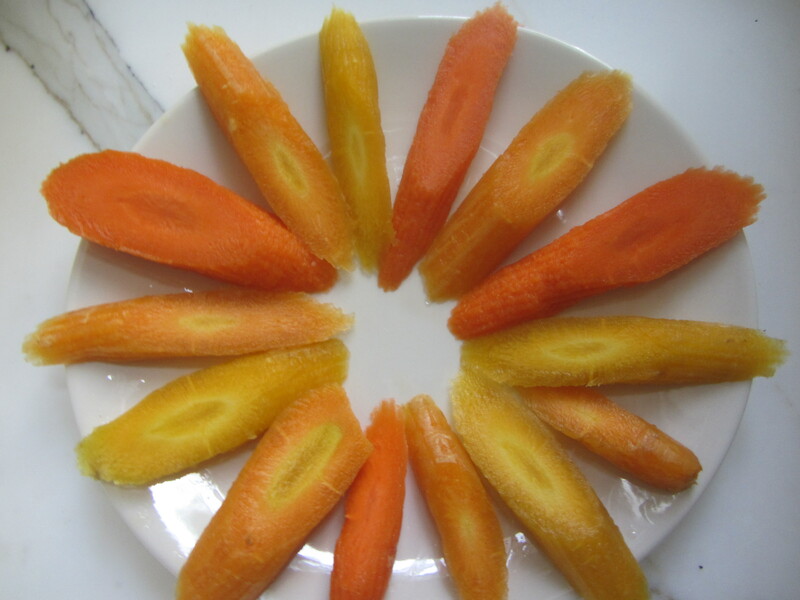 Arrange carrots on a large plate, alternating different colors. 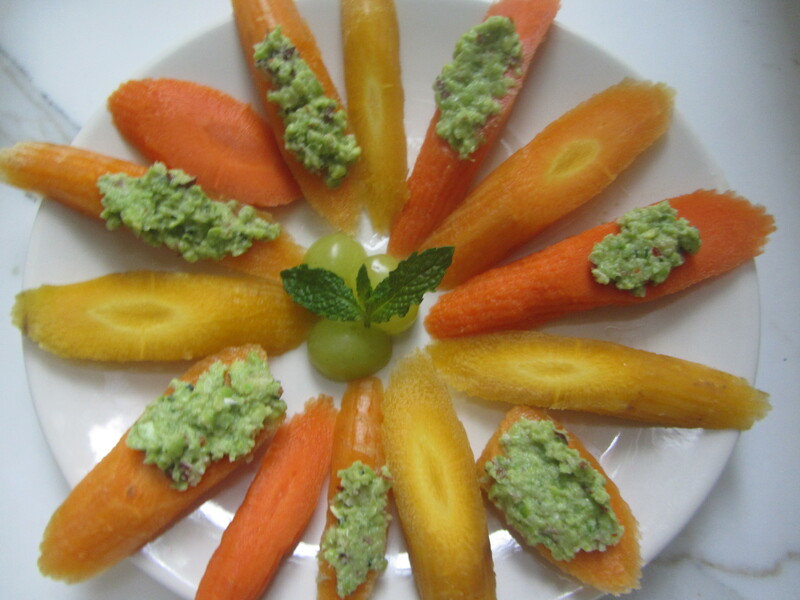 Use a butter knife or spreader to spread the pea pesto on some of the carrot slices.Slice the grapes lengthwise and place them in the center, with a sprig of mint on top.